Koninklijke Tichelaar Makkum spends a lot of time and attention on the content of this site. Nevertheless, it is possible that information is incorrect or incomplete. Visitors can in no way derive any rights from the information on the website. If you have doubts about the correctness of data, you can contact us via email: info@tichelaar.nl. 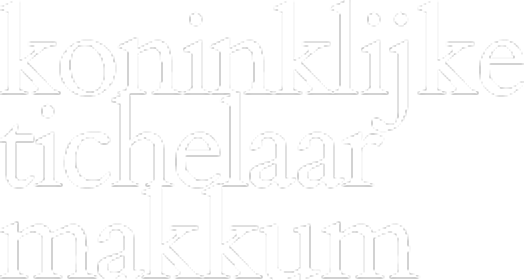 Koninklijke Tichelaar B.V. does not accept any liability for damage - of any nature whatsoever - that can be directly or indirectly caused by the information on our site.